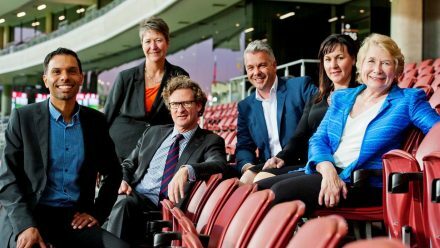 UniSA Centre for Business Growth Program unlocks growth potential of five South Australian small and medium enterprises (SMEs). The first cohort of SMEs to graduate from the nine-month Growing South Australia’s Companies program achieved unprecedented results. At a gala dinner at the Adelaide Oval, the UniSA Centre for Business Growth recognised the collective achievements of the first companies to graduate from the program, and celebrated their successes. Created a total of 16 new jobs, representing 7.5% growth in the cohort’s overall full time equivalent employment. Professor Jana Matthews, ANZ Chair in Business Growth and Director of the UniSA Centre for Business Growth says the significant increase in profitability indicates that the CEOs and executives have learned how to lead and manage growth – and, importantly, how to execute a growth strategy. “The companies are becoming more efficient, and will be reinvesting those profits in developing new products, entering new markets, buying new equipment, ramping marketing, and hiring more people. Given their predictions for 2017, we expect to see substantial growth in revenue, profits, jobs and exports in the year ahead,” Professor Matthews says. CPIE Pharmacy Services: a pharmacy organisation delivering innovative best practice standards to deliver optimum health outcomes for the community. Kain Lawyers: an innovative legal consulting company specialising in complex transactions, disputes and advice. KOJO: an Australian market innovator and leader in Live Event, Brand, Film and Sport industries. Fennell Forestry: a major plantation hardwood and softwood harvest and transport company, with a timber industry history spanning 25 years. Urbanvirons Group: a specialist Horticultural, Arboricultural and Landscaping solutions provider to Local and State Government, Community Housing Providers, Property Managers and Civil & Construction Industries in South Australia. The Growing South Australia’s Companies Program is primarily funded by the South Australian Government and is targeted at companies with revenues between $2 million and $50 million and 5 to 200 employees. The world-leading curriculum is based on the UniSA Centre for Business Growth’s knowledge framework and enables executives to learn how to lead, manage, execute and achieve accelerated growth. Dale Roberts, CEO of Kojo, said that the program had been transformational for his team and has helped them really focus on accelerating their business. “What I loved about the Growing South Australia’s Companies program was the constant accountability – it ensures that CEOs and executives action what they say they will do. It provided the fundamentals we needed to really nail our strategy, and by holding us to account it meant we didn’t go back to our day-to-day life and park the notes in a bottom drawer,” he says. Professor Matthews added that this program is critically important because SMEs are the leverage point for our economy. “If we can help our SMEs grow, they will generate more revenue, pay more taxes, employ more people, mentor other companies, and contribute to the growth of a healthy economy. “So far over 100 SMEs in South Australia have registered for our Growth Clinics and nearly 20 are already enrolled in our Growth Programs. “This time next year we expect another 100 South Australian SMEs to have gone through our Clinics and at least 40 to be going through our intensive growth programs,” she says.